Here's a couple of articles which caught my eye recently. The first article, entitled Should English departments throw in the towel?, opens with the following startling statement: "It’s not that Johnny can’t read. It’s just that he doesn’t want to - at least not any more than necessary. And is that such a crime?" This is the premise of a paper submitted by a professor of English named Alan Jacobs to an academic trade journal called The Chronicle of Higher Education. Far from being facetious, Mr. Jacobs is making a serious argument that literacy is necessary, but reading for pleasure may not be. He argues that to try and forcefully infuse someone with a love of reading just doesn't work. Those that want to read, will read. Those that don't, won't. Despite his occupation in academia, he clucks his tongue at literary snobs who baste themselves in "superior virtue" because of their lofty taste in literature, versus the poor common slobs who prefer to read popular fiction (if they read at all). Rather defiantly, Mr. Jacobs refuses to treat this as a crisis and urges the academic environment to simply adjust -- even to the extent of cutting English Departments. Sad as that makes me, I guess I can't argue with him in one respect: You can't force someone to love anything. And electronic media, you must admit, is seductively attractive. Books are just so, well, passé. It's just that I couldn't fathom life without books. A great many of them. Hard on the heels of this essay, we learn that the esteemed Encyclopaedia Britannica -- facing the realities of the digital age -- is ceasing publication of the print version of its encyclopedias (after 244 years!) in favor of online versions. "The Britannica," notes the article, "the oldest continuously published encyclopedia in the English language, has become a luxury item with a $1,395 price tag. It is frequently bought by embassies, libraries and research institutions, and by well-educated, upscale consumers who felt an attachment to the set of bound volumes. Only 8,000 sets of the 2010 edition have been sold, and the remaining 4,000 have been stored in a warehouse until they are bought." I confess, I covet one of those 4000 remaining sets. But we'll make do with our 1990 set of World Book Encyclopedias, purchased for $1/volume when our old Oregon library upgraded to newer versions. Recently I asked our local Idaho library -- which has a crisp and practically unopened set of World Book Encyclopedias sitting untouched on its shelves -- when they plan to upgrade to newer encyclopedias (with an eye toward purchasing their older set). Answer: they won't be. A chilling quote from the article on Encyclopaedia Britannica cited a reference library in Maine who said, "General-interest encyclopedias are often used by students whose teachers require them to occasionally cite print sources, just to practice using print." To practice using print... my fingers falter as I type those ghastly words (on my electronic keyboard, not with quill and ink on paper). I guess we have to accept the fact that things change and reading is on the decline. Meanwhile last week we made it into Coeur d'Alene, where the girls clamored for a trip to the Cd'A Public Library, a beautiful new facility that opened a few years ago. Here they spent an hour browsing and came away with about 25 books, by no means an unusual occurrence. I suppose if we've done nothing else as homeschooling parents, we've managed to infuse our children with an absolute joy for reading and a passion for books (the printed kind). And I for one am delighted with their old-fashioned taste. a book by Jim Kjelgaard for a homeschooling girl. like him also. And any other homeschooling parent out there. He writes mainly about dogs. My mother and I both love to read, my father and brother do not. Sadly, my Brother has always struggled over the written word, I don't think he even reads magazines or anything light like that for enjoyment. I also prefer real books over something on the computer. Sad that it's a declining pastime. My friend recently asked (on facebook) who knew the difference between loose and lose and bought and brought. He knew the answer but was continually amazed by those that didn't. I wasn't a good student but (I like to think) most of the time my grammer is excellent, if a little old fashioned at times. I put this down to being an avid reader. These days people are even writing written messages in text shorthand and saying lol instead of laughing. Sad. When the grid goes down I'll bet books will have a resurgence and those that can't read will be sorry. Thats why I can never bear to part with any but the most awful books. Always thinking I'll need them for trade or enjoyment. I was once written a note by a 22yr old mother who finished high school. I had to read it aloud to get the gist of it. The main part that stuck in my mind were the words 'the smorening'. One of my favorites: The difference between when to use the word "less" and when to use the word "fewer." Hardly anyone gets this one right. A lot of people also use their, they're and there incorrectly. They either don't know the difference or they just don't care! Good versus well is the one I tend to notice. The one that drives me crazy is "alot"
I'm also finding 'know' is often being replaced with 'no'. I enjoy reading, more for knowledge than entertainment, but I do occassionally read a western or mystery novel. What is sad is I work at a public high school that when the older or no longer desired books are removed from the library they are offered free to the staff at the school. I recently was able to obtain 20 plus volumes of various civil wary history this way. However, recently they had several complete volumes of encyclopedias they were clearing out and no one took them. I didn't have any room for them, so I passed them up. They ended up in the dumpster!! What a loss. English departments have probably done more to destroy reading as a pastime than promote it. I had read several of the books in our high school curriculum on my own before we came to them in class. All the assignments just plain sucked the life out of them. Books aren't meant to be examined chapter by chapter with a microscope. My dad heard my brother complaining about how boring "The Taming of the Shrew" was. He bought a tape of a good stage performance of it to show us what it was really like. The classroom presentation of it was so bad my brother hadn't even realized it was meant to be a comedy! That's sad about the encyclopedias not being used. My desk in first grade was right next to the shelf with a World Book set. I was always in trouble for snagging them to read while I was supposed to be reading the material we were given. They were fascinating to me. So many things I'd never heard of before. I was reading well above "grade level" but my parents still had to step in to prevent them from punishing me for reading anything other than the beginning readers books assigned to me. 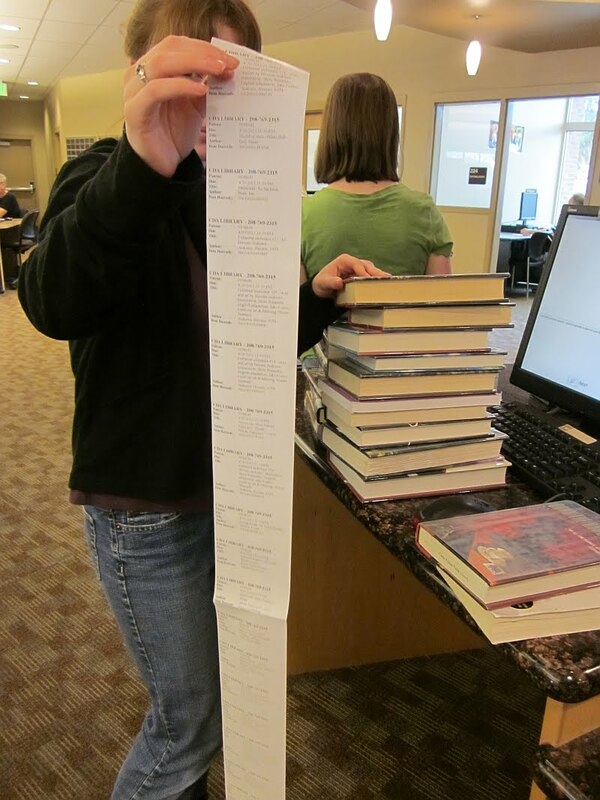 At my next school the librarian was allowed to give any book that hadn't been checked out in the last two years to a student who went to check it out and was interested in keeping it. I wound up with quite a lot of books by the end of middle school. 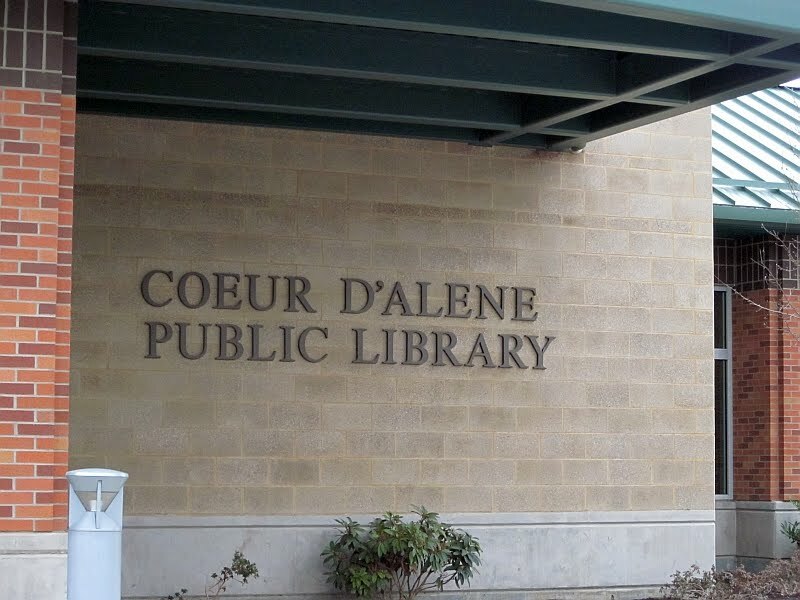 It wasn't even that it was a large library. Students wouldn't check out the older looking books for some reason. Fiction ages well enough that I have books printed in the 40s. I'm a "retired" homeschooler - daughter is 31 years old. She and I both still love to read. I did give in and buy myself a kindle and then an IPAD (for mobility purposes) - had I known how much I'd rather read on the IPAD I would have foregone the kindle! Better lighting and you can actually "turn" the pages! That said, I just had to give away and sell almost my whole library in preparation for a big move - just keeping my favorites, like my herbal books, etc and shipping them to my new home. Well, I wanted to comment on the reading but was just going to let it go by until I saw the picture of your husband and daughters when they were small - your youngest daughter is sucking the same fingers that my dear one did for so many years - brought back memories of her little girl sweetness. I can't imagine a life without books. I too was raised on them and when life seems a little too hard I like to jump into a story and transport myself somewhere else. "Research" and non-fiction books keep my attention better than trying to read the same things on a computer screen. I can't believe that anyone would think that some people just like to read and some don't. We learn to love reading because we're TAUGHT to love reading! Surrounded by books as children and read to...wow. Well, thanks for a great post! I think I'll keep my books! According to Nicholas Carr (author of The Shallows: What the Internet is Doing to Our Brains) everyone has reason to be concerned about the lack of traditional literacy! When humans read real (print copy) books, their brains practice a pattern of functioning that allows deep, intense concentration and visualization (i.e. imagination) that is not replicated by interacting with any digital media. Failing to read in favor of media actually rewires our brains and significantly reduces our ability to focus, analyze and visualize in any context. I don't particularly think that bodes well for the future of humanity, medicine or necessary invention... But hey, who needs to think when your iPhone will do it for you, right? So true, Jamie! More and more, people seem to just want to sit back and be entertained, rather than take part in anything that requires them to THINK. There are so many everyday tasks people can not do anymore, especially young people, such as performing simple math in their heads. I was extremely fortunate to grow up in a home where having an extensive library of literature was a priority. I could begin the day reading a classic novel and end it reading about how to build a structurally sound tree fort. There were so many volumes of varied literature at my fingertips that nothing seemed impossible for me to research and discover. I plan to impart the same love of books in my children and my oldest daughter is well on her way at two years of age! While I know I will not likely have a wonderful set of encyclopedias (unless I can pursuade my Mother to give me the set in her home) I do plan on having an extensive array of fiction and non-fiction available in our home library. Even if that library is not in a room, but just a simple corner with a few bookshelves filled to the brim with good books. Sounds like a man who's feeling discouraged. After searching for about 2 years for a set of used encyclopedias we could afford, we finally scored a complete set for $20.00 last week. My kids were so excited! After stacking them up and making a castle, they started cracking them open and searching through them eagerly. "Mom! Here's Mesopotamia!" and "Hey! Listen to what dolphins can do!" etc. It was certainly difficult to get them to bed that night. I can't imagine life without books. All I can think of is the quote from Ray Bradbury (author of Fahrenheit 451)..."You don't have to burn books to destroy a culture. Just get people to stop reading them." Very sad day for our country! Ah! And there you have yet another of MANY goals of the liberal-progressive movement. 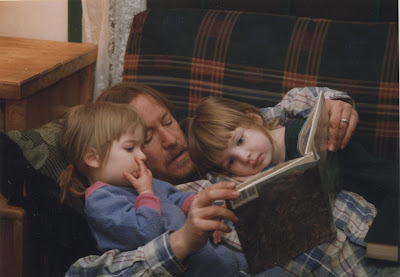 I absolutely love the photo of dad reading to his girls. I am also a reader as are my 2 daughters and their respective children. Of all the genes to pass along, I am most proud of that one being passed. No Kindle for me, I want to feel the book, the pages, smell the smell of a book. I have hundreds of books and keep adding bookcases everywhere I can find a spot! As an aside, are those LP albums I spy in the cabinet by your daughter? ;) I have some of those too!! I too am a reader as are my 2 daughters and their respective children. So glad the reading "gene" was passed on! I have hundreds of books and keep adding bookcases in all the nooks and crannies. No Kindle for me, although one of my daughters has one. I want to smell, feel and hold a book. It's a sensory thing I believe to feel the pages, feel the texture of the outside of the book. As an aside, are those LP albums I spy in the cabinet next to your daughter? ;) I have some of those too!! Hey I will admit that my spelling is not that good. than I am and that is what I wanted out of life. But im homeschooling I had to find material that covered where I lacked.And for us it worked out. One daughter is an avid reader, often borrowing 20-30 books per library visit. My other daughter will leave with only two, and then only if I force her to find something. Those are typically below grade level even though she reads well. Glad that my bribe paid off, I'm now looking for similarly styled stories to keep her newfound enjoyment thriving. Any suggestions? I figure the genres will expand if I can just keep her reading for now. Tamora Pierce has written several books featuring young women as the heroine if that's what pulled her in. A side benefit is that Pierce has written enough series to keep her reading for a good while. The Trickster series Alanna is kind of Katniss like. Ender's Shadow comes to mind also for some reason. I thought the books that followed were very slow paced but Ender's Game and Ender's Shadow were excellent. The 'Uglies' series by Scott Westerfeld really got my non - reader teen cousin into reading . It was easy to introduce the 'Hunger games' and 'Ender' series after that . It would seem to me reading is on the increase, with all the electronic readers-you can shove a lot of text into a Nook. I have my favorite paperbacks(a few hundred or so-I had to thin them out for space recently), but I do want to get an electronic reader. Your kids love reading, I suspect, mostly because they're homeschooled, and thus have never been exposed to the pernicious influence of English teachers. I wasn't so lucky as to be homeschooled, but I did fall in love with reading at the age of 2 and a half, and all the efforts of all the English teachers I had throughout my time in the school system weren't sufficient to dislodge that love and replace it with the dread of drudgery felt by so many Americans. Had I been less resilient against soul-crushing drudgery, less defiant of pretended authority, or less experienced (for years before encountering my first teacher) with reading for joy instead of for assignments, I'd have fallen into the same trap. A love of reading is learned. I am an avid reader. My husband, except for his Bible, is not. My children have been read to since before they were born. We read the bible aloud nightly to them. They have a love of reading that caused them trouble when in public school because they would read when they were supposed to be doing other things! They all read 3 to 4 years above level. My twins are now 13, one daughter is 12 and one is 10. My son is 2 and is always asking for a story to be read to him. We have a large amount of books of many types and add to them as we are able. I had to laugh at Heather because our girls are the same way. They just pull an encyclopedia off the shelf and read! Teach them early, instill that love and they WILL read! My sis is an avid researcher-type reader. Most of her books are either history books or classical literature with a decent little collection of modern fiction and comics, filling two BIG bookcases in her room and a half-sized one stuffed to the gills. Some of them came from me when I got finished using them for school. I got a decent amount myself (a single overflowing bookcase), but I'm pretty picky when it comes to which books I'll keep. Been wanting to tackle some of my sister's books too. We could never imagine life without books, even with the internet. I have a kindle as well, but I rarely use it, except to read the free classics we don't already have or to put my own little stories on it (there's a way to email your own documents). It was a gift, and I didn't even ask for it. I do consider myself lucky to have a family who advocates reading in whatever form you can find though. I grew up around my parents old books and National Geographic magazines they kept on several bookcases. I think we had the World Books too, but we also eventually got rid of them, along with most of the National Geographic. Still have many of their old textbooks, novels, and history books that have many pictures as well as text. If money wasn't tight and I wasn't as picky about keeping books (I always keep favorites), I would probably have at least ten times as much as I currently have, and my sis...I would say about a hundred times as what she currently has (her only issue is lack of room). And I would be sneaking in there to borrow them, she has great taste! i always have my nose in a book...when at the age of eight i needed eyeglasses, daddy hid all the encyclopedias and books in the trunk of his car...i got into so much trouble after that, that he relented and let us bring the books back into the house. my husband does not read books for fun and leisure, but he is one of those die hard hardcopy newspaper people...every day like clockwork he goes to town to get the newspaper and a diet pepsi at the drugstore. My mother, myself, and my daughter are book lovers. I believe if the parents are readers so will the children. In today's society parents do not read, they watch tv and movies and have no imaginations, so why would we expect their kids to read. Remember those illustrated children's encyclopedias, Golden Books? I used to read them for hours when I was a kid. I Loved them. Years ago, I lost track of my Golden Book Encyclopedias. I never knew what happened to them after I grew up. Then one day, I walked into a thrift store in the area and guess what I found?! MY golden books from when I was a kid! How did I know they were mine? They were still bundled in the same incomplete set (I never did get them all and I knew EXACTLY which ones were missing). And on the back of the "B" volume, right there on Beethoven's bust, was the water spot I made accidentally, years ago, by leaving a glass of water on it. Also, all the broken spines were in all the right places. I knew those books inside and out. I even recognized pencil markings in the margins of some of the pages. I bought them and I still have them. I Love those books. We lucked out with a complete set of (albeit, 2003) World Books at our local library's book sale last year.... in the "free" room!! The director saw us making multiple trips to the car with them, and said "Boy, I hope you use those!". We informed him that indeed, they will be used -- we're a homeschooling family with 4 kids. I grew up flipping through encylopedias and reading them for "fun", and hope my kids do as well. "...to try and forcefully infuse someone with a love of reading just doesn't work. Those that want to read, will read. Those that don't, won't." To this I say, baloney! Nope, not buying it. My folks, as well as my older sisters, began working with me and helping me learn (and love) to read when I was only TWO years old. By the time I was three, I could read or sound out almost anything printed. Sure, most of it I didn't understand, but I asked a lot of questions and always got good answers. I was taught to read both by recognition AND phonetically. My dad actually wasn't a very good teacher. He was too impatient. But he meant well, and he was VERY intelligent. I believe my wanting to do what my older sisters could all do, as well as wanting to please my parents, in spite of my dad's impatience (and possibly because of it), helped me to become an excellent reader and a pretty good speller, too. Books are my favorite indulgence! My parents signed me up for the Weekly Reader book club in the early 60's, and I still have some of those books. In 1969 Dad bought us not only the Encyclopaedia Britannica, but the junior Britannica's as well (they were red). I spent many hours on my stomach in the living room with those open, reading from which ever one I grabbed off the shelf. Being a military family meant that our belongings were pared down with every move, but those encyclopedia's always made the cut. I remember my mother always having a book with her, and we were encouraged to do the same. It helped us cope with the "hurry up and wait" life we enjoyed as military dependents. My dad was fairly strict about what we could give our friends for birthdays: books. Dad read every newspaper from cover to cover. I am an avid reader, to the point of addiction, I sometimes fear, but I thank my parents for instilling this love of books and reading into me. I use reading to teach language arts to my homeschooled son. My curriculum is reading and literature heavy. I don't do as much formal spelling and grammar as many do, but the exposure to the printed word has proven to be an effective teacher. Subject knowledge, sentence structure, spelling, and vocabulary all taught via the joy of reading. Please, please, the next time your library has books to offer that you cannot house, especially encylopedia sets, take them and either sell them on eBay or donate them to the local thrifts. You will be doing a truly good thing.